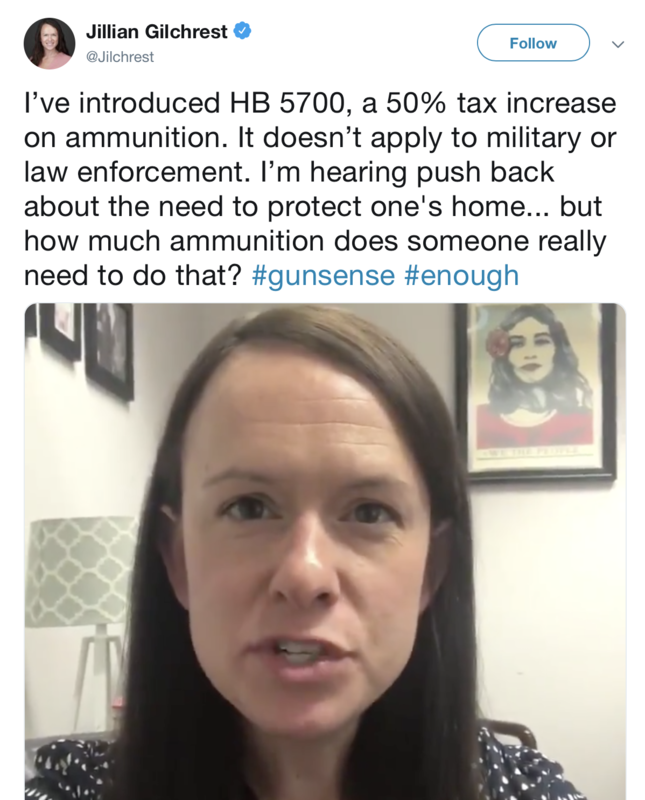 Rep. Gilchrest has recently introduced a bill that would create an abusive tax on ammunition in her State. You can watch the VIDEO she posted with the above statement HERE. If you read her statement and listen to her speak in the video, and you are Pro Gun Rights, you probably get pretty aggravated. You might think that you have no “common ground” with this woman or that there would be no point in having a dialogue with her. I disagree. The quote that I posted above reveals a misunderstanding about the use of ammunition in regard to home defense, but it does acknowledge Armed Home Defense… in fact, it alludes to the fact that one does need ammunition to use a firearm to defend their family inside their home. That is common ground. That is a starting point for dialogue. In her video, Representative Gilchrest talks about wanting to be a leader in reducing “gun violence”. In the context she is speaking of, that term includes injuries caused by gun negligence and gun negligence is reduced through training and practice. Skill development is also necessary to be prepared to use a defensive firearm. We agree that we want to reduce gun negligence. More Common Ground. From either of these starting points, it might be possible to have a dialogue with someone who is Pro Gun Control that helps them understand that ammunition is used to practice and develop skills, which improves safety and is part of b being a responsible gun owner, not just in the moment of personal defense. We might convince someone that they are actually hurting the cause of gun responsibility and reducing injuries from gun negligence by making it harder for gun owners to afford ammunition. As a grassroots gun rights advocate, you should alway be looking for common ground from which to create a productive dialogue to educate people and shift their opinion on gun issues. If you simply respond to a statement like the one that Rep. Gilchrest made with “What part of ‘shall not be infringed’ doesn’t she get? !”, you will get nowhere. The Second Amendment Organization does not support any additional tax being placed on ammunition, training or firearms by any government entity and we specifically believe that any such tax would have a negative effect on gun safety, responsibility and the preparation of responsible gun owners to use their guns for their intended purposes.